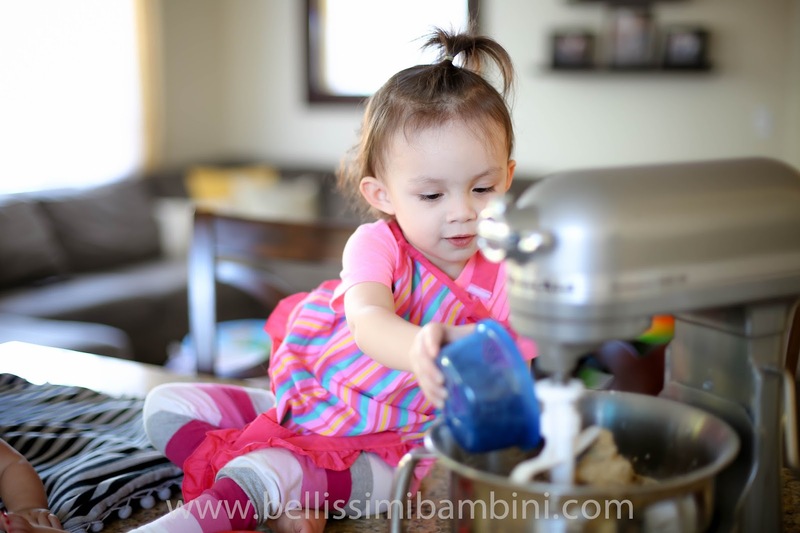 My baking assistant hard at work! Shortly after we got the mixture put together it was time for a nap so she didn’t get to help in the actual baking process, but that was probably for the best as its not exactly the safest part of making cookies. She was pleasantly surprised when she woke up to find the cookies waiting for her on the cooling rack and was eager to test one out for herself! 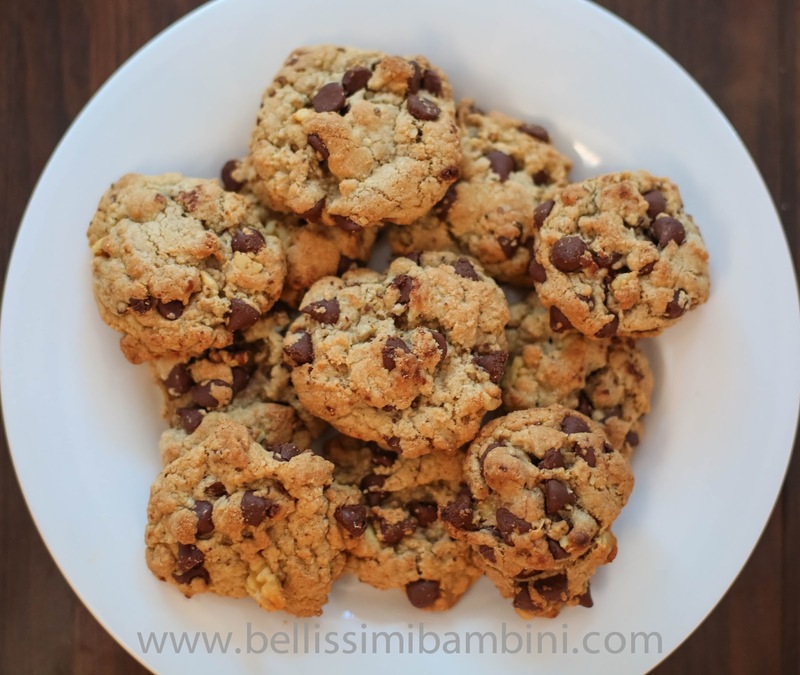 I’m sure to all of you these look like any old regular chocolate chip cookies but I have to tell you, that this is seriously the best recipe for cookies that I’ve ever tried making. If you are on Pinterest you have probably even come across this recipe where its known at the $250 Neiman Marcus cookie recipe. I myself actually came across this recipe through a neighbor who was kind enough to make them for our family a few years back. 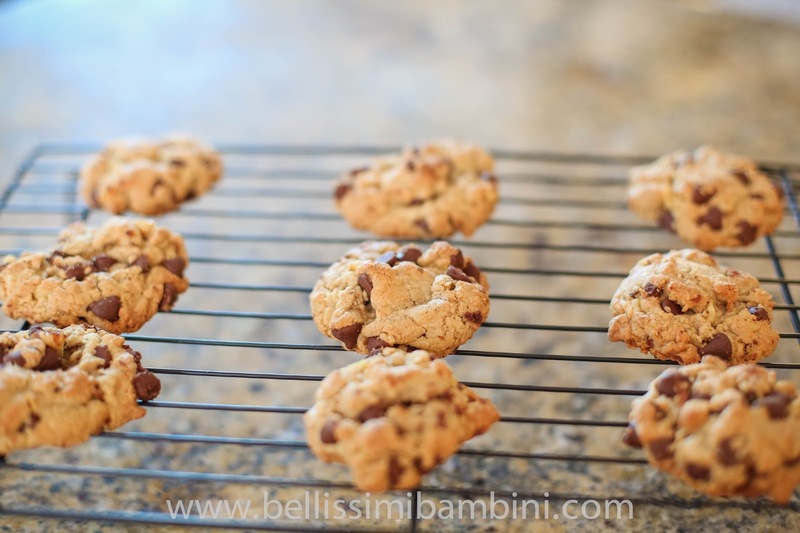 Since this has become my go to recipe for any occasion that calls for homemade cookies. You really have to try this recipe out for yourself! 1. Preheat oven to 375 degrees F. Line baking sheet with parchment paper. 2. Blend the oats in a food processor or blender to a fine powder. In a medium bowl, whisk together the blended oats with the flour, baking powder, baking soda and salt; set aside. 3. In the bowl of an electric mixer, cream together the butter and both sugars until light and fluffy, 3-4 minutes. Scrape down the sides of the bowl and beat in the eggs one at a time, beating well after each addition. Beat in the vanilla extract. Reduce the mixer speed to low and gradually add the flour mixture, beating just until incorporated. With a rubber spatula, fold in the chocolate chips, grated chocolate and walnuts. 4. Roll the dough into 2-ounce balls (or about 2 heaping tablespoonfuls worth) and place about 2 inches apart on the baking sheets. Bake (one sheet at a time) until the edges are set but the center still looks undone, about 10 minutes. Cool the cookies completely on the baking sheets. The cookies can be stored in an airtight container at room temperature for up to 4 days (they can also be frozen for up to 2 months). 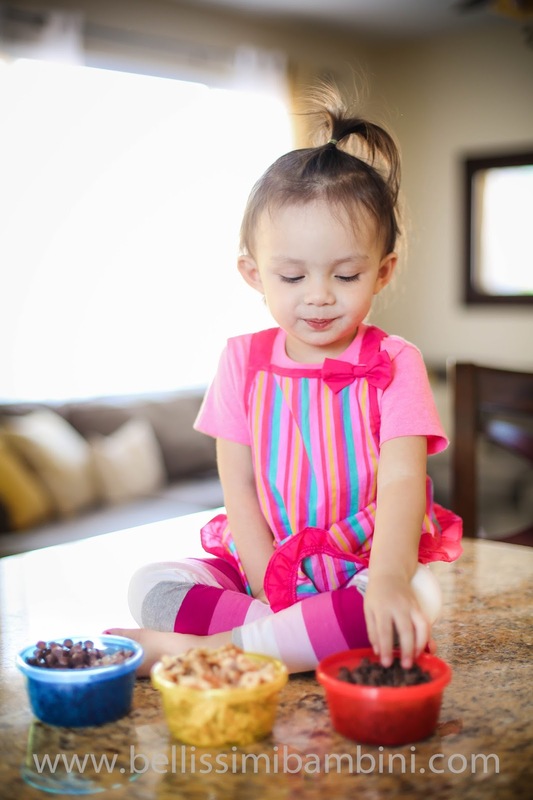 These cookies are ALWAYS a big hit. If you decide to give them a shot, I’d love to hear what you thought about them in the comments below! I hope you all had a fabulous Valentine’s Day with your loved ones filled with a lot of love and some yummy sweetness!